Not that long ago, Carbon Composite materials were only used on products that required a lot of engineering and fabrication labor (i.e. expensive). Composites still play a vital role in the automotive, aerospace and construction industry. But, with the increased adoption of new software tools for 3D scanning, design, simulation, pattern flattening, and CNC cutting, the barrier to use in other industries is also growing. Composite materials are an effective solution in any industry where a winning combination of high strength and low weight are required. In this example we'll explore the impact that these materials and technologies are having on bicycle design. Why a Carbon Fiber Bike? 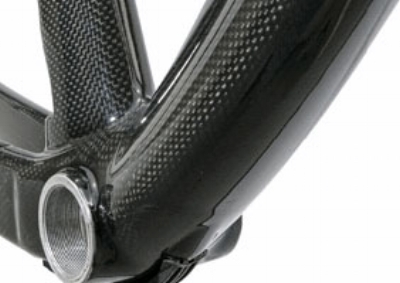 Carbon fiber is a great bike material and this for two reasons. First, the bike is now stiffer ensuring better transmission of energy from the rider to the wheels. And second, a lower weight means faster speeds and longer rides. In the past, every frame, component, or accessory made with carbon fiber required intensive manual work. The typical pattern creation and layup definition processes were incredibly hands-on with little to no automation. And, because it’s such an intensive process, the slightest mishap in design or pattern cutting would result in a very costly rebuild. 3D CAD allows designers to visualize the bike and identify issues early in the process. Once finished, the digital data from the 3D model is then used directly in the production process. Bike manufacturers of all sizes are turning to 3D CAD and digital patterning software such as ExactFlat to address this challenge and continue to maintain there competitive position. Digital Patterning tools from ExactFlat help with every aspect of the pattern creation and ply layup definition including percise flattening and material yield optimization. Strain and sag analysis displays are used to validate performance and producability. Nesting tools help used to ensure the optimal material usage before cutting by a CNC machine. These automation tools work together as a seamless unit to help reduce the overall cost to manufacture a carbon composite bike. The production process begins after the design and performance simulation tasks are complete and a ply manual has been created. Click on the image to see how Allied Cycle Works uses 3D CAD and nesting technology to produce better bikes. Once the pattern pieces are defined, optimized and cut the actual material is added to the mold for fabrication. Tools for dart creation, material edge overlapping and labeling help communicate production instructions and reduce manufacturing errors. The finished product. Stiffer, lighter and produced with less time and effort. From a single custom design to a larger scale production run, digital design and patterning can make all the difference when utilizing composites. 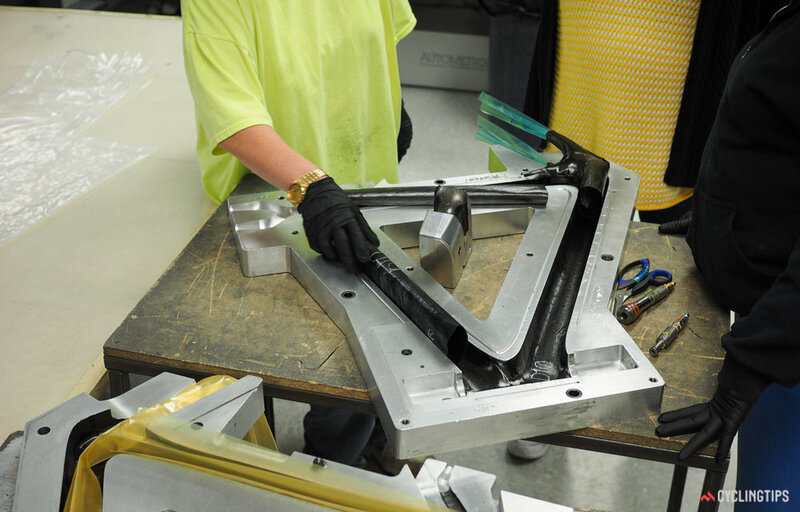 The trial-and-error back and forth process between design and manufacturing is all but eliminated. This means the overall process is fast, accurate, and cost-effective. The return on utilizing this software on carbon fiber bike design is undeniable. One could say that carbon fiber is changing the cyclist market. And that ExactFlat has changed the carbon fiber manufacturing process. See the difference for yourself. Click on the image below to schedule a time to speak with our experts or for a free trial.